• PLOT SUMMARY: Written by MARK WAID. Pencils by KANO. 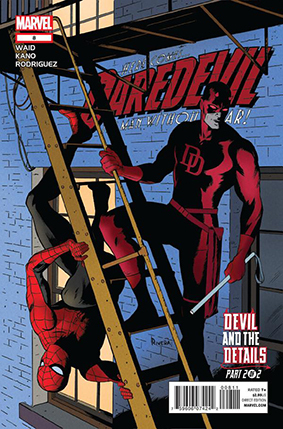 Spider-Man and Daredevil Team-Up: Part 2 of 2 - (W) Mark Waid. (A) Kano. Story continued from Amazing Spider-Man (1998- 2nd Series) #677 LEFT OFF, THE NEXT GREAT LOVE TRIANGLE OF THE MARVEL UNIVERSE CONTINUES!